Wilton Holiday 18-piece Metal Cookie Cutter Set $9.96 + FREE Prime Shipping (Reg. $13.50)! You are here: Home / Great Deals / Amazon Deals / Wilton Holiday 18-piece Metal Cookie Cutter Set $9.96 + FREE Prime Shipping (Reg. $13.50)! I love Wilton-brand anything so I’ll definitely be taking advantage of this next deal! 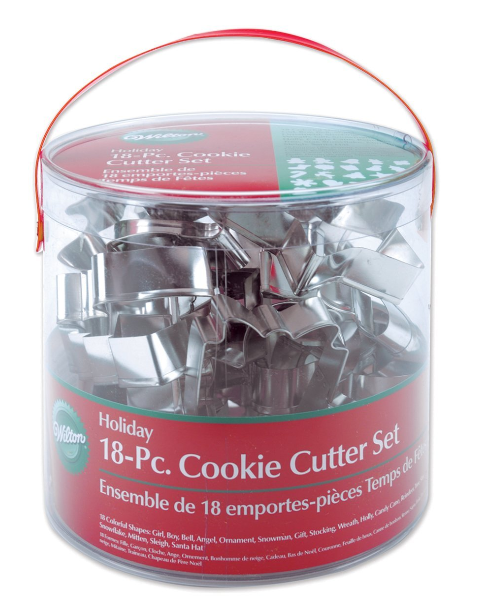 We can snag this awesome Wilton Holiday 18-piece Metal Cookie Cutter Set for only $9.96 (reg. $13.50)!